Black communities are often excluded from the economic revitalization needed to spark successful businesses that keep residents thriving. It’s happened in Detroit and in countless other cities across the nation. 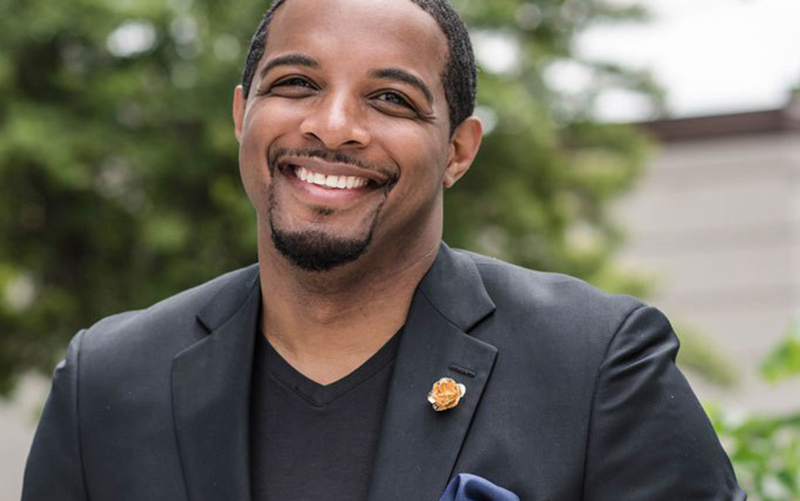 There have been many efforts to counteract the injustice, and real estate mogul Jay Morrison is one of the many people who have made it their business to uplift urban communities. Earlier this month, he made history with the initial public offering (IPO) launch of the Tulsa Real Estate Fund, the first African-American owned Regulation A+ Tier II crowdfund designed to revitalize urban communities across the U.S.
“Tulsa Real Estate Fund was created for the sole purpose of the revitalization of urban communities across America, as well as a means for working class people to own shares and equity in a portfolio of real estate assets that will combat gentrification,” Morrison, CEO and manager of the Tulsa Real Estate Fund, said in a recent statement. According to the Fund, the company’s mission is to perform comprehensive redevelopment of both people and real estate in key urban areas. Although based in Atlanta, the Fund is named after the business men and women of the? Greenwood neighborhood of Tulsa, Oklahoma that, in 1921, inhabited more than 2,000 black-owned homes and businesses that thrived in the self-sustaining community known as “Black Wall Street” before they were destroyed by an angry white mob and hundreds of African-Americans were killed in the worst armed race riots in U.S. history. Morrison also notes that non-accredited investors, who are historically “left on the sidelines” when it comes to IPOs and venture capital, will benefit from his IPO launch. “Regulation A+ opens the door to these investment opportunities, which will in effect allow Black Wall Street to thrive once again, but in more urban communities around the country,” he shares. The Tulsa Real Estate Fund builds on Project Rebuild, President Barack Obama’s $15 billion proposal to invest in a national effort that leverages private capital and expertise to rehabilitate hundreds of thousands of communities across the country. Building on the successful ideas developed during the implementation of the Neighborhood Stabilization Project, Project Rebuild provides funding to purchase, rehabilitate, and/or redevelop foreclosed, abandoned, demolished, or vacant properties. Funding also helps grantees establish and operate land banks and create jobs maintaining properties to avoid community blight. The Fund comes on the heels of several reports of younger people investing in real estate. Here, check out our interview with Lisa Puerto who, in 2017, wrote? ?Real Estate 100: The Teen and Millennial Investment Blueprint,? to empower millenials to invest in real estate.